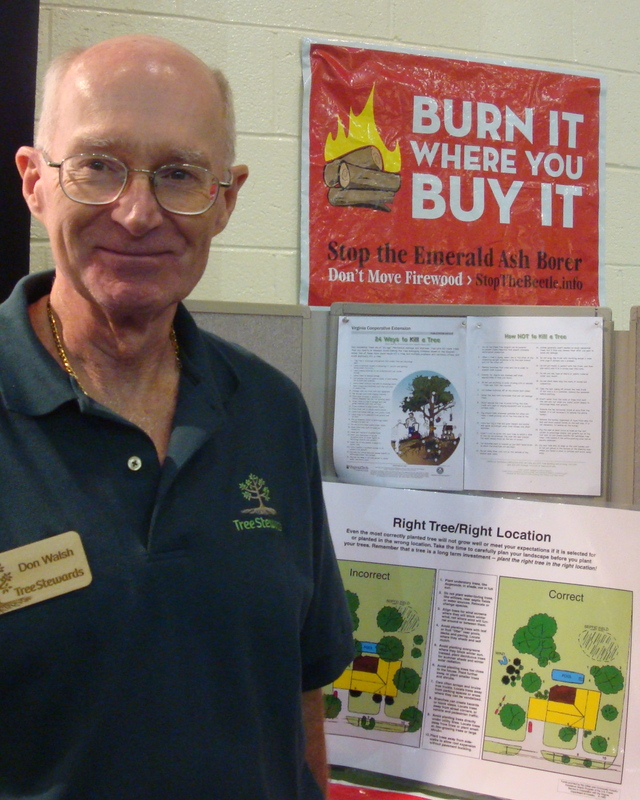 A huge Thank You is due to Kay Miller for organizing this year’s Tree Steward display at the Arlington county fair. This summer community event is a real crowd pleaser and a great chance for providing tree care education. 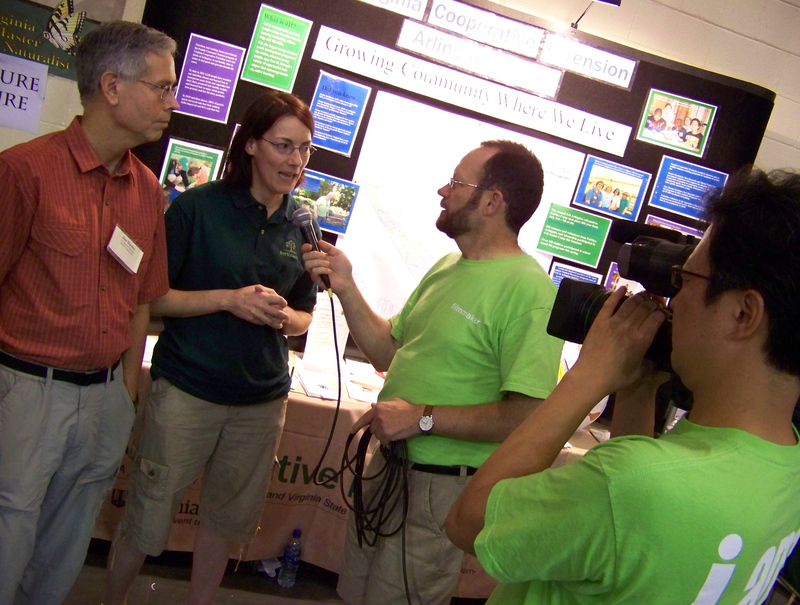 Five volunteers staffed the booth with information about summer watering for trees, education on why moving firewood spreads the evil Emerald Ash Borer and other pests, and promoting our work. A big hit with children and adults was giving away four dozen T-shirts with that message! Don told people not to give pests free rides by not moving firewood. This entry was posted in Community Service, Uncategorized and tagged community, education. Bookmark the permalink.